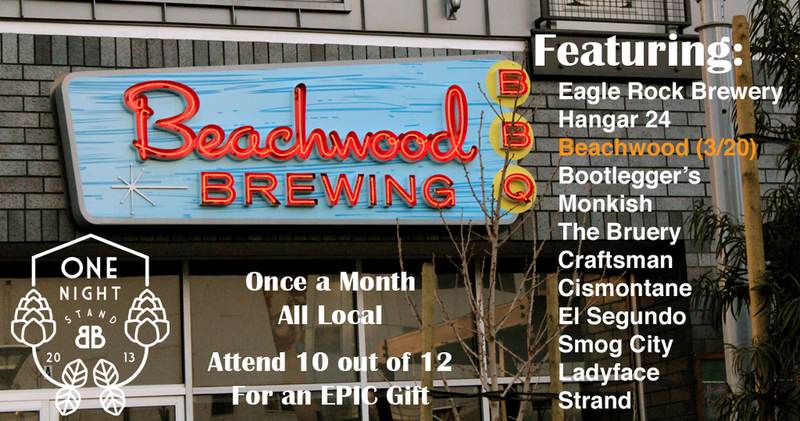 This month we're happy to host Beachwood Brewing at Beer Belly for a One Night Stand (3/20). PS: Don't forget to take a picture in the designated photo zone and upload to our Facebook page (or email to drink@beerbellyla.com if you're shy). If you can prove you were at 10 out of the 12 One Night Stands this year you will get a very, very, very special gift at the end of the year. Beer Belly on Diners, Drive-Ins, and Dives!